The Gay and Lesbian Community Center of Southern Nevada is proud to announce the 25th Anniversary of service to their community. They will commemorate this special anniversary with their annual Honorarium and invite you to celebrate with a magical evening. 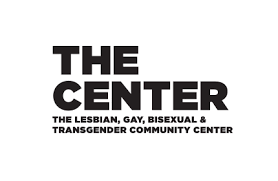 For 25 years, The Center has been the center of the LGBTQ community in Southern Nevada. They are excited to start a next chapter with an Honorarium filled with friends, outstanding honorees, special performances and appearances from Las Vegas’ own superstars. 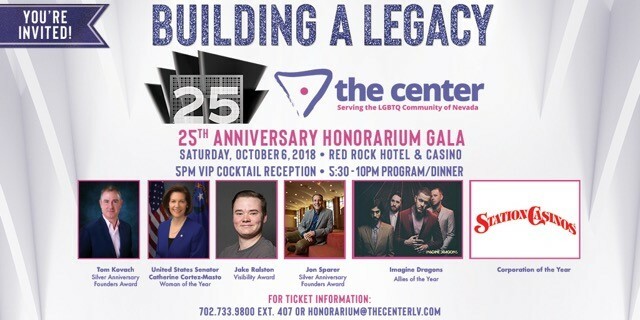 The Gay and Lesbian Community Center of Southern Nevada is proud to announce the 25th Anniversary Honorees. Our 2018 Honorees are as follows – Tom Kovach – Silver Anniversary Founders Award, United States Senator Catherine Cortez-Masto – Woman of the Year, Jon Sparer – Silver Anniversary Founders Award, Jake Ralston – The Center Visibility Award, Stations Casino – Corporation of the Year and Imagine Dragons – Allies of the Year. You are encouraged to get your tickets early for a this special event you won’t want to miss.